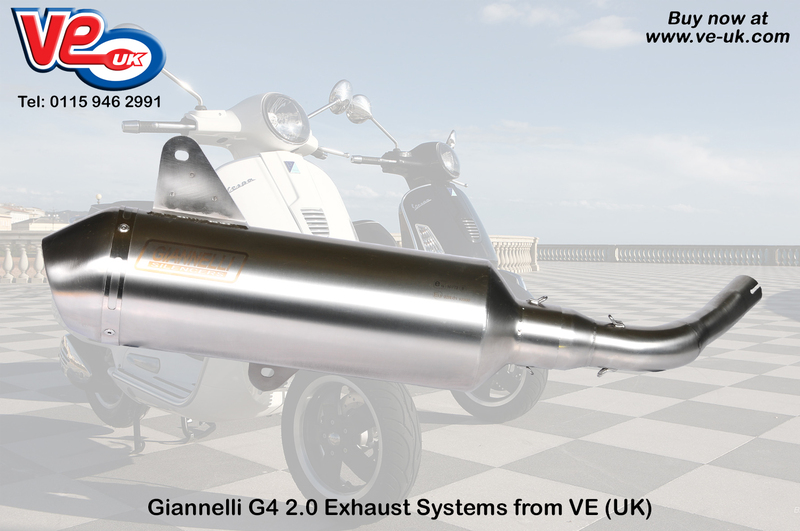 Maxi Scooter owners looking for a high quality replacement exhaust system should take a look at the range of Giannelli G4 2.0 exhausts from VE (UK). Giannelli’s “G-4 2.0” exhaust system features a brushed stainless steel silencer and header pipe, and has been designed to offer performance increases across the rev range while remaining road legal, as well as a weight saving of up to 3kg when compared to the original exhaust. Key upgraded features from the original G4 include integrated bracket, sleeker look, and shorter link pipe to allow the use of the original exhaust elbow, saving time and problems with seized exhaust studs and lambda probe. This entry was posted in Automatic Parts. Bookmark this page.